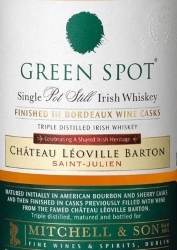 Alright, the next one in today’s little Irish Whiskey flight is the Green Spot Château Léoville-Barton. This expression is initially matured in a mix of ex-Sherry casks, new Bourbon and ex-Bourbon barrels, just like the ordinary Green Spot, but unlike that one, it is bottled at 46% ABV after an extra maturation in ex-Bordeaux wine casks for up to 2 years. I have really no clue about Bordeaux wines, but from what I understand, the Château Léoville-Barton is considered to be one the best wineries in Bordeaux. Léoville Barton is owned by direct descendants of Thomas Barton, who emigrated from Ireland in 1725. Definitely somewhat winy. Orchards fruits, most notable peaches, together with ripe berries like strawberries and raspberries. 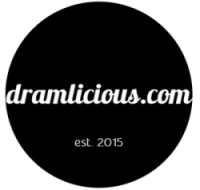 Notes of apple peels and raspberry brandy emerge, alongside hints of vanilla and grapes. A little bit peppery. Oily. Again orchard fruits and ripe berries, complemented by vanilla, pepper and hints of ginger. There is a distinctive touch of woody red wine in the background. Medium and rather dry. A bit of pepper, a bit of fruit and more woody red wine. Not earth shattering, but the wine finish is fairly well integrated. Amazing! Its actually remarkable post, I have got much clear idea about from this post.